Graphene, the ultrathin, ultraconductive, flexible material that everyone is talking about, is maturing just in time for its use in the printed electronics industry. Graphene, the thinnest allotrope of carbon, consists of carbon atoms arranged on a hexagonal chicken wire mesh. Only one atom thin, it is strong, light, nearly transparent and an excellent conductor of heat and electricity. Its interactions with other materials and with light and its inherently two-dimensional nature produce unique properties, such as the bipolar transistor effect, ballistic transport of charges and large quantum oscillations. The material was first isolated in the lab in 2004, by professors Novoselov and Geim at Manchester University. Geim and Novoselov went on to win the 2010 Nobel prize in physics for their work on graphene. In 2013, the European Commission awarded graphene research with a billion euros in funding, to be used over the next ten years. The first-ever European project of such scale (aside from the CERN particle collider) will focus on delivering graphene from research labs to actual products. Commercialization of graphene has picked up pace rapidly in the past two years. There are enough companies working with graphene now to start holding graphene business conferences, such as the Graphene Live! series, typically hosted alongside Printed Electronics! 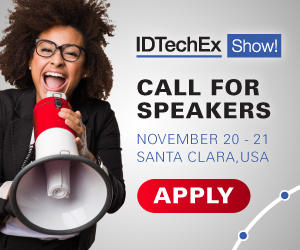 conferences organized by IDTechEx. More than that, businesses are putting their resources together to work on all aspects of graphene commercialization, including nomenclature, standardization, and health & safety. Less than two years ago, the only mention of using graphene for printing anything was in scientific and patent literature. But then, Vorbeck came out with their Vor-Ink series, and for the first time one could order a bucket of conductive graphene paint online. Vorbeck also patented graphene for use in conductive inks. Vorbeck's president appeared on BBC news, causing a graphene investment spree in the UK. The United Kingdom is making a clear effort to stay on top of the graphene game, through large funding schemes and the opening of graphene research and commercialization centers in Manchester and at Cambridge University. The Cambridge Graphene center was quick to announce a partnership with Plastic Logic a leader in organic transistors and plastic electronics. One of the key research directions in this collaboration is printed electronics. In September 2013, Graphene Platform and Japan's Nissha Printing partnered to deliver products based on graphene inks developed at University of Cambridge. The program is expected to deliver real products within three years. In November 2013, IDTechEx recognized the potential of graphene for printed electronics and awarded Durham Graphene Science (DGS) its Best Technical Development Materials Award. DGS is a spinout company of Durham University. The company "won this award for its high specification graphene production process that can seem to scale to large-volume, utilizing a bottom-up synthesis method. DGS, has recently completed the commissioning of its first commercial scale facility, which is capable of producing one tonne of high-purity graphene nanoplatelets per year". And finally, just last month, Picosun Oy, a leading Atomic Layer Deposition (ALD) equipment manufacturer, teamed up with several prominent European nanotechnology companies and research institutes to develop novel, graphene-based solutions for display manufacturing, flexible electronics, and electronic component industries. The partnership was forged through a European Commission-supported research program. Graphene Laboratories, one of the largest pure-play graphene companies out there, continues to strengthen its partnership with Limoko Metals, a junior graphite miner. In most recent developments, the companies have started up Graphene 3D Labs, a business specializing in 3D printing with graphene. The company's research team recently filed a patent to use graphene-enhanced materials in 3D printing (additive manufacturing). It seems that graphene mass-production is maturing just at the time when the printed electronics industry looks for a cheap, transparent, highly conductive material. It will be interesting to watch how the two industries intertwine in the coming years. Figure 1. Graphene layer covering a 4-inch Si/SiO2 substrate, with metal contacts (Source: image courtesy of Graphenea). Graphene is only one atom thin, is flexible, transparent, and highly conductive. Graphene Tracker reports on graphene patent, industry and technology news. Marko Spasenovic holds a PhD in Physics, with an emphasis on optics, nanophotonics and material science.